The Flea Market at Eastern Market. 7th Street between Pennsylvania and North Carolina Avenue SE. Hours 10am to 5pm. Outdoor and covered market, one of the oldest markets in the country, market dates from 1873. Approx 150 dealers featuring antiques, arts, collectibles, crafts and imports. Plenty of restaurants nearby, restrooms in area, h/a. Very pleasant, safe area. Parking can be a disaster. Best way is to take the Metro. The Eastern market station is on the orange and blue lines and is located only a block away from the market. c/p Tom Rall, 1101 N. Kentucky St. Arlington, VA 22205. (703) 534-7612 or 9202) 546-2698. Fax (703) 534-0285. Antique Market Place. 3407 `K' Street. Parking is difficult. Flea market on weekends, 35 permanent shops open during the week. Good selection of quality antiques, collectibles, silver, decorator items, jewelry and vintage clothing at the shops. Restrooms, h/a. Commercial vendors welcome. (202) 337-3620 or (301) 299-8253. Georgetown Antique Fair and Flea Market. Wisconsin Avenue and "Q" Street NW. Parking lot at the Hardy Middle School. Hours 9am-5pm. Parking is difficult. Antiques, nice furniture, jewelry, collectibles, silver, jewelry, vintage clothing. Excellent market for the serious collector, investor or shopkeeper as many quality items here. Space from $15. Restrooms, food is available, h/a. up. Seasonal market March-November. Outdoor market. c/p Michael Sussman, 2109 "N" St. NW, 20037. (202) 223-0289 or 296-4989. 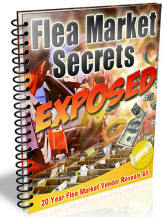 Fax: (202) 223-0289..
Flea Market. 7th and North Carolina SE. Hours 10am-5pm. Approximately 60 vendors. 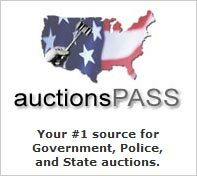 Good selection, antiques, collectibles, new merchandise, imports, gifts. Vintage clothing, produce, crafts, art, some rare and unusual pieces. Snack bar. Indoor and outdoor market. Space starts at $25. c/p Tom Rall. 1101 N. Kentucky St. Arlington, VA 22205. (703) 534-7612. Seasonal market, March through December. Columbia Flea Market. Route 29. This Sunday only market gives shoppers a taste of the traditional in typical flea market offerings from new to nearly new goods at fair or better market value. (301) 329-2188.